Noor Gillani Noor Gillani is a recently graduated journalist from Brisbane, and the newest arrival to The Observer's newsroom. Prior to Gladstone, she was a reporter at Kalgoorlie in WA, but decided the grit of the Wild West was too much for her city-dweller sensibilities. She finds Gladstone a refreshing change, and is keen to meet people and tell as many interesting stories as she can. GLADSTONE'S Garage Barber Shop has been nominated in the national Australian Hair Industry Awards for the fourth year in a row. This year the shop is a finalist in three categories: best barber business of the year, best barber of the year and best male styling product of the year. Owner Rex Silver said he was particularly excited to be nominated for best barber for the first time. 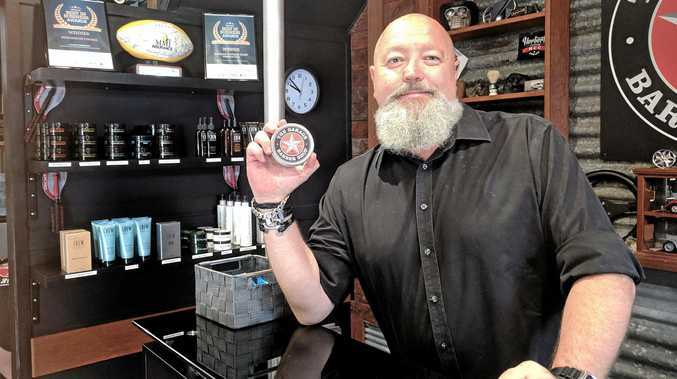 "In the four years we've been involved in these awards we're the only regional barber shop to be recognised and I'm the only regional barber to be nominated barber of the year," Mr Silver said. He said he was also thrilled to have one of his range's products, a men's matte paste, in the running for best male styling product of the year. "We're going to rebrand it and launch it on the international stage," Ms Silver said. "I started making my own products by hand nearly 20 years ago in my back room using aromatherapy and natural products. "I've been getting them professionally done in a lab and professionally packaged for four years." The products are 99.7 per cent certified organic. Mr Silver said while he was always hopeful to win, being nominated in three award categories was a huge achievement in itself. "We sell self-esteem, great products and great hairdressing," he said. "Around 500 hairdressers enter and it's the cream of the crop that go in these things. "Just considering every other nominee is from a capital city ... making finalist for us is like we've won anyway. "There's like 8000 barber shops in Australia, believe it or not, so to be recognised in the top three or four every year is a win for us." He said he believed it was the quality of his staff's and his own training that allowed Garage Barber Shop to provide services "on par with anywhere in the world". 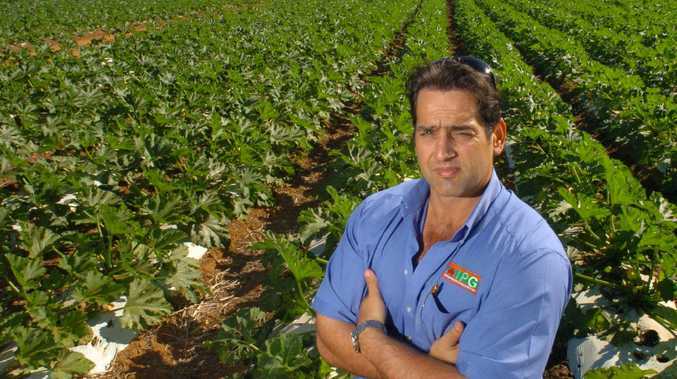 He plans to expand the business to other regional cities such as Rockhampton, Mackay, Townsville and Cairns. "My vision is to take a city-style barber shop and put it in the regional cities," he said. Winners of this year's Australian Hair Industry Awards will be announced on April 28.